THEN the Wine Stop will dedicate 80% of their total revenues during the event for a full lighting and mechanical system retrofit. The next best thing from a sustainable building is a sustainable business. 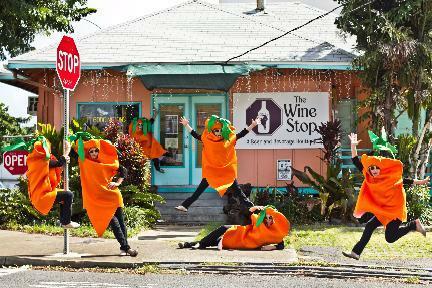 Local wine and beer boutique, The Wine Stop, has been selected by KYA Sustainability Studio to create Hawaiiʼs first Carrotmob event. KYA Sustainability Studio has chosen to work with their neighbor, The Wine Stop—a Hawaiian, woman owned local business—because of their desire to pursue the sustainable business philosophy that investing in what is right for our community is what is right for business. The widespread support for Hawaii's first carrotmob was a success. Other businesses and organizations who volunteered to help with the event included Energy Industries, Mobi PCS, Kanu Hawaii, Blue Planet, and Hawaii Energy. Mobsters received free LED lights and smart powerstrips alongside their purchases.